On Thursday, longtime San Francisco Giants broadcaster Mike Krukow appeared on Murph & Mac to talk about the Giants’ meeting with Bryce Harper, and what that means for the ball-club going forward. The Giants this offseason have been remarkably quiet in regards to acquiring young, talented players, but Krukow stated that he was not surprised at all by the meeting that took place with the former MVP. “I think this is how Farhan Zaidi has rolled through most of this winter,” Krukow said. “The comment he made earlier about exploring everything and no deal being too small, well, we just thought that all of his deals were going to be small, and that’s not the case. I think he’s done his due diligence on a lot of free agents out there, and this one to is quite interesting because it involved not only Farhan, but also Larry Baer and Bruce Bochy. That’s significant. 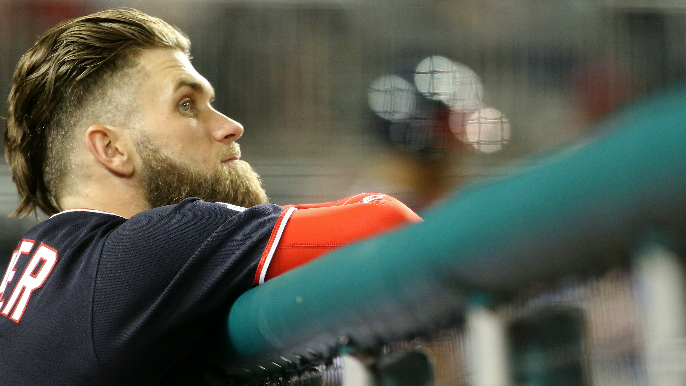 “It’s fun for Giants fans as well as broadcasters to imagine having Bryce out there,” Krukow said of Harper. “It would be drama every time he stepped in the box, and there’d be drama every time he hit the streets. He’s at type of a personality. So it’s not a surprise to me, and I hope something comes of it. Most experts have been closely watching the Machado-Harper “game of chicken,” waiting to see who will get the biggest contract. Krukow weighed in, saying that while he thinks Harper deserves top dollar, he doesn’t like the idea of the Giants taking on a long-term contract. Harper had somewhat of a down year in a season many speculated was marred with minor injuries, all while still playing in his most games in a season for his career with 159. While some may consider his health a red flag, Krukow thinks there’s a lot of positives to take away from his durability. “I don’t see any red flags at all,” Krukow said of the seven-time All-Star. “If anything I think there’s been some positives because I don’t know if he was 100 percent all last year, which tells me he plays hurt. He goes out there everyday, and I think that’s very important because even if you don’t have all your tools working, when you step in that batters box, you affect the game. I don’t care if he’s hitting .230 in July; you still think the guy’s going to hit one out of the ballpark.